I’ve started making a quilt for baby Etienne. I made a quilt for our son and finished it for his first Christmas, but since Etienne’s first Christmas just passed, I’m going to aim for his first Birthday. So I have a little over 9 more months to get it completed. If I can finish one panel a month I should make that deadline no problem. 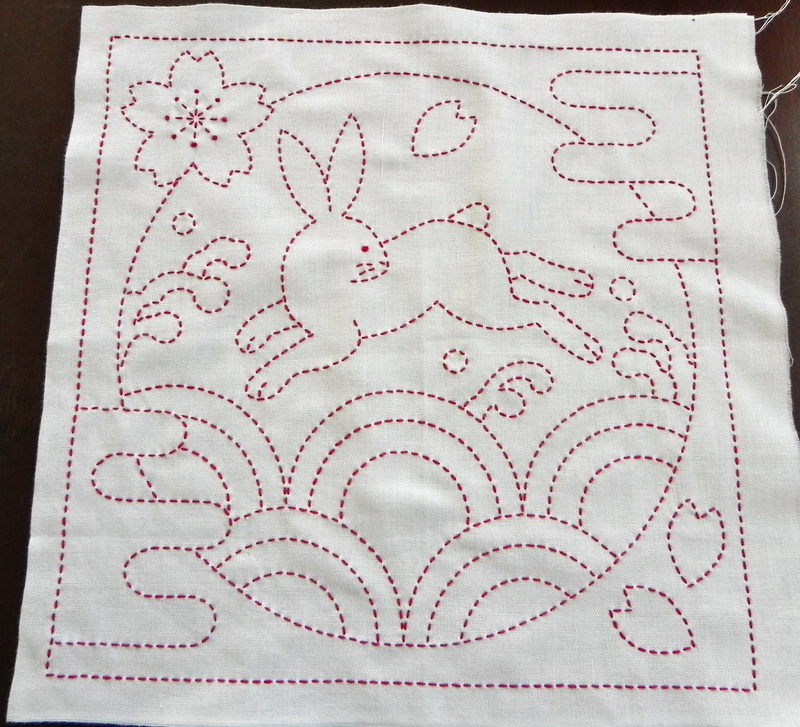 The next one is done in dark blue and is a different sort of stylized rabbit design. I’m about half way finished with it, so I might have pictures up next week, we’ll see. 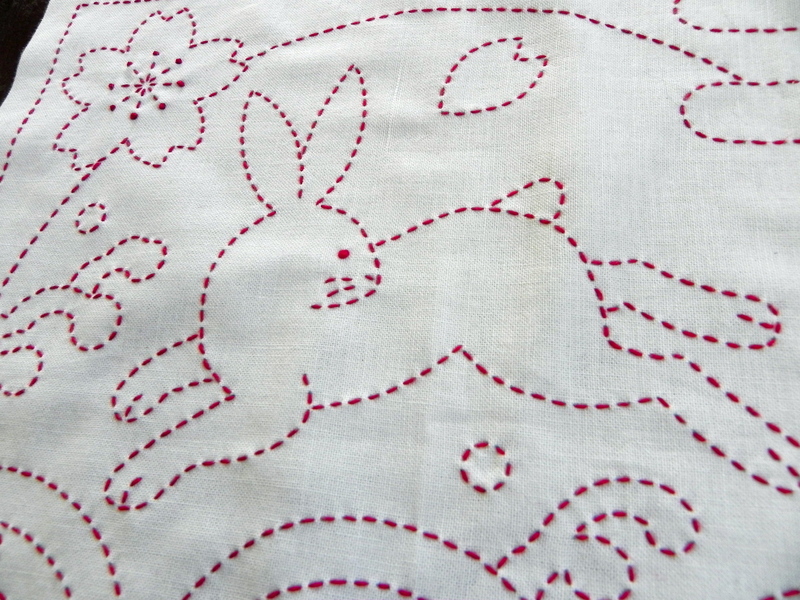 This entry was posted in baby, Uncategorized and tagged baby, embroidery, quilting, rabbit, sashiko, sewing. Bookmark the permalink. Thank you, but I can only take credit for the embroidery, not the composition. I got the pattern from an independently owned craft store near where I live. It’s beautiful! I really like it, and the stitches are so even!